If you have little ones, you’re going to flip over these adorable Easter board books for your preschooler or baby. 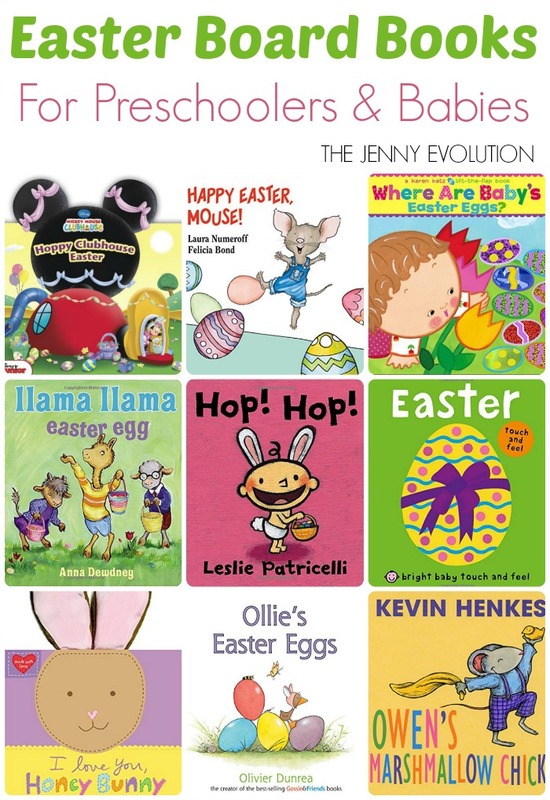 We just love Easter books… and really, we read them throughout the year. My boys love seasonal books no matter what the season, to be honest! 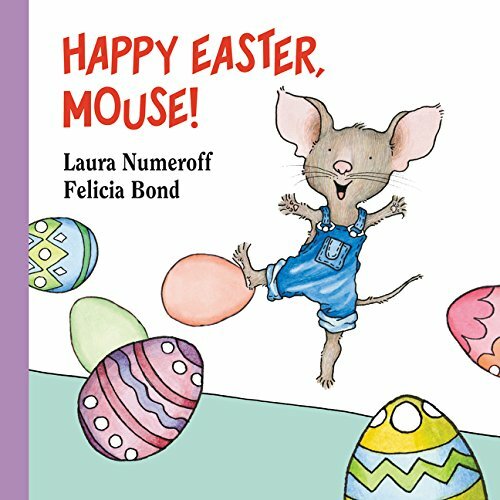 Happy Easter, Mouse! (If You Give…): Join Mouse from If You Give a Mouse a Cookie as he tries to figure out who’s leaving Easter eggs all over his house! 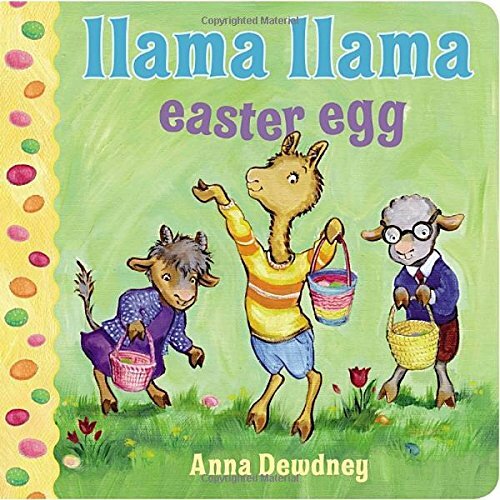 Llama Llama Easter Egg: In Llama Llama Easter Egg, the Easter Bunny brings lots of treats for Llama Llama: jelly beans, colorful eggs, and a fluffy surprise! Duck & Goose, Here Comes the Easter Bunny! : Duck & Goose are back! New York Times bestselling author and illustrator Tad Hills brings our favorite feathered friends out to celebrate spring in this sturdy board book. Duck & Goose have lots of ideas about how to find the Easter Bunny, but will they succeed? 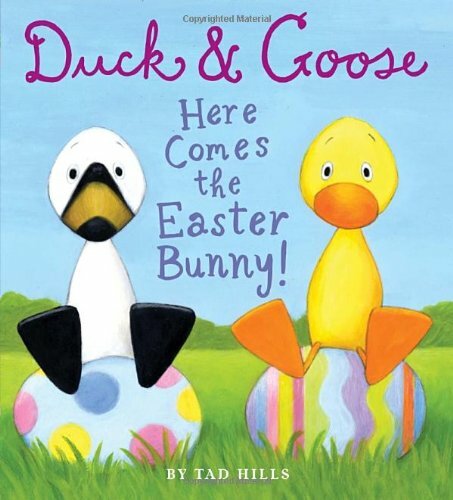 Preschoolers won’t be able to resist this latest board book featuring Duck & Goose, lots of colorful eggs, and the Easter Bunny. Where Are Baby’s Easter Eggs? 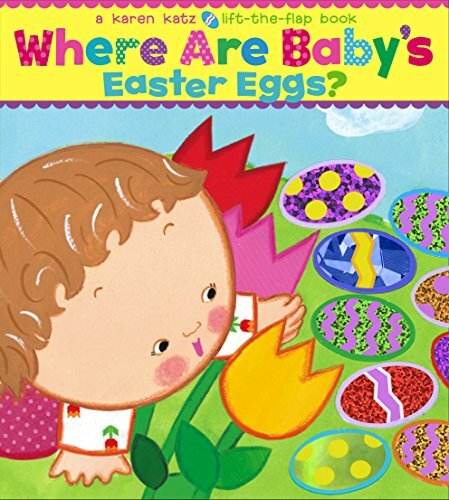 : Little ones will love lifting the large, sturdy flaps in this sweet, irresistible board book to find Baby’s Easter eggs from Karen Katz. Where could the Easter eggs be? Children will discover colorful springtime objects under each of the six sturdy flaps until… they find Baby’s Easter eggs in a fold-out finale. 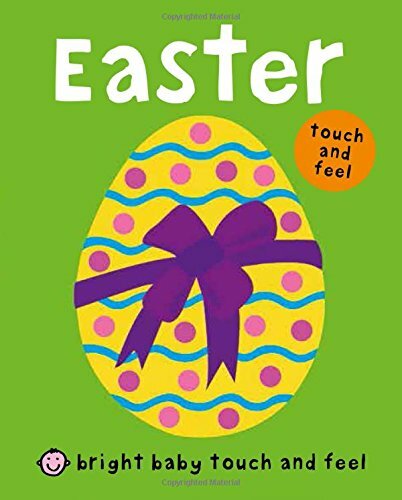 Bright Baby Touch and Feel Easter: This is an ideal first word and picture board book to share with your baby or toddler as a first step to discovering Easter traditions. 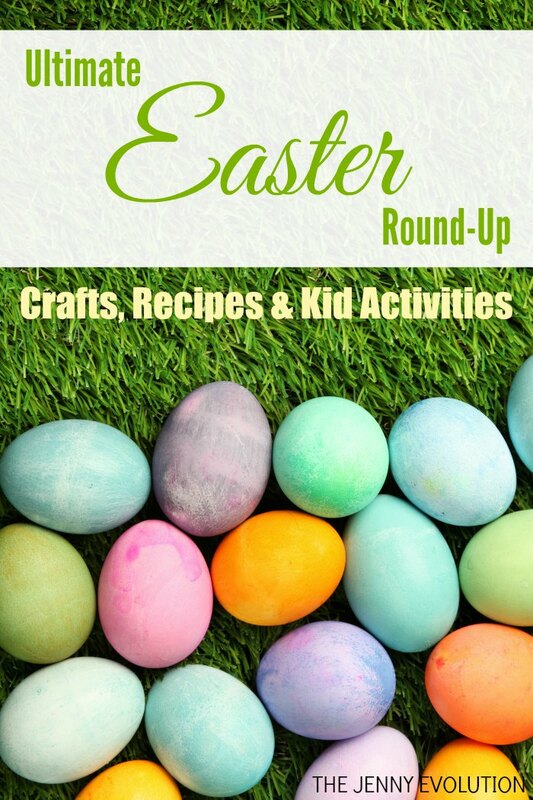 The pages feature bright pcitures of chocolate eggs, Easter baskets, chicks, bunnies and more to look at, and there are lots of different touch-and-feel textures including foil, glitter and fabric which little fingers will just love to explore. 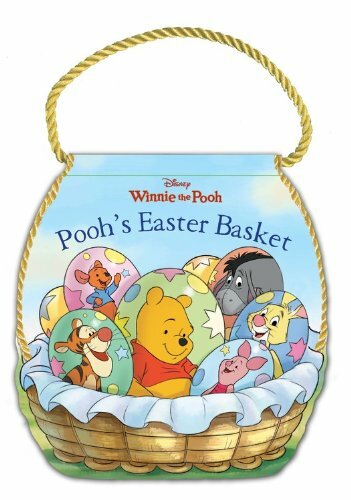 Winnie the Pooh Pooh’s Easter Basket: It’s Easter in the Hundred-Acre Wood and Winnie the Pooh and his friends are ready to celebrate! Children will love joining in the fun as Pooh and his friends fill a basket with all sorts of delightful treats. This Easter basket-shaped book with a braided cord handle is sure to become a favorite at Easter-time and beyond. 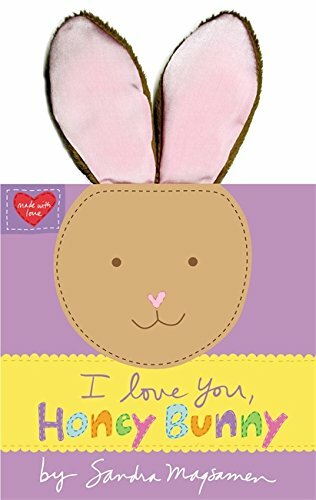 I Love You, Honey Bunny (Earesistables): Parents will love cuddling up with their little honey bunnies and reading this adorable board book featuring plush bunny ears that make every page even more fun. I Love You, Honey Bunny reminds little ones how much they are cherished through Sandra Magsamen’s signature heartfelt text and cozy hand-stitched illustration style. 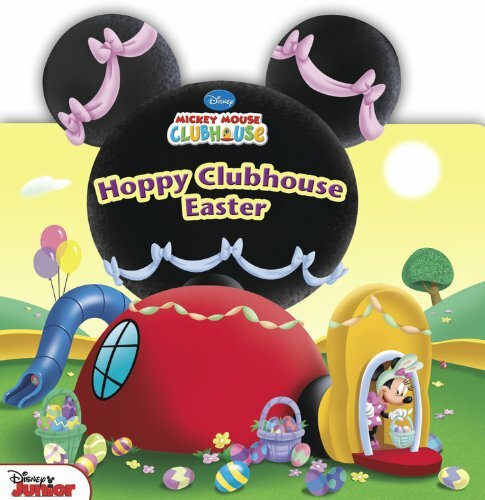 Hoppy Clubhouse Easter (Disney Mickey Mouse Clubhouse): What happens when Pete hatches a sneaky plan for winning the Bunny Hop Race? Find out in this eggs-cellent adventure. This shaped die-cut board book stars all of your favorite Clubhouse friends! 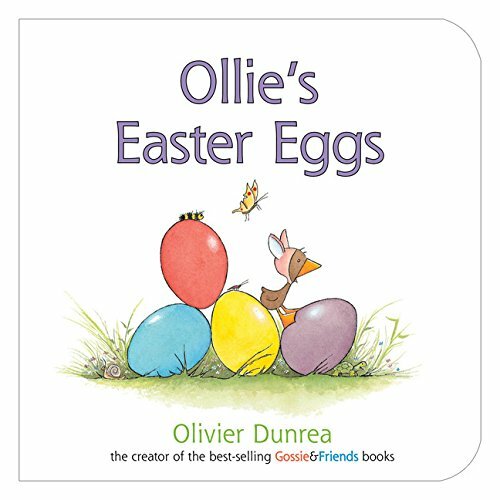 Ollie’s Easter Eggs (Gossie & Friends): Gossie, Gertie, BooBoo, and Peedie are all dyeing Easter eggs. Ollie wants Easter eggs too and he has a plan on how he’ll get them! Humor and vibrant ink-and-watercolor illustrations fill Olivier Dunrea’s holiday follow-up to Merry Christmas, Ollie. Dunrea again gets the preschooler emotions exactly right, capturing a range of holiday-inspired feelings, from Ollie’s wiggly impatience to be included to the pure joy of the older goslings discovering that Ollie has arranged the best Easter egg hunt of all. Includes sheet of colorful stickers! Hop! Hop! 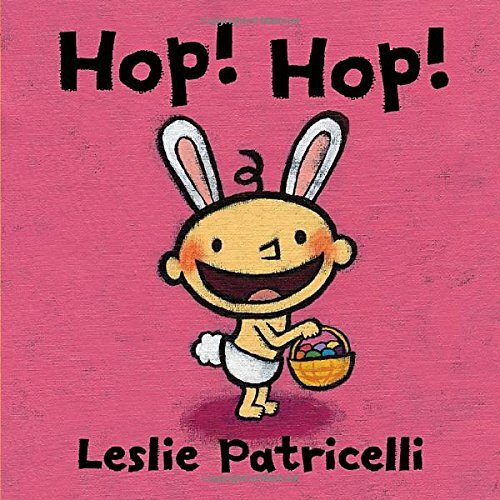 (Leslie Patricelli board books): The inimitable Baby brings a humorous spin to the holidays in in board book fit for Easter baskets. The Easter Bunny is coming! It’s time to dye eggs. Did you know that red and blue make purple? That blue and yellow make green? That an art project may result in a multicolored Baby? There are bunny ears to wear (for the dog and cat, too) and an Easter basket to put out before bedtime. What will Baby find inside it the next morning? 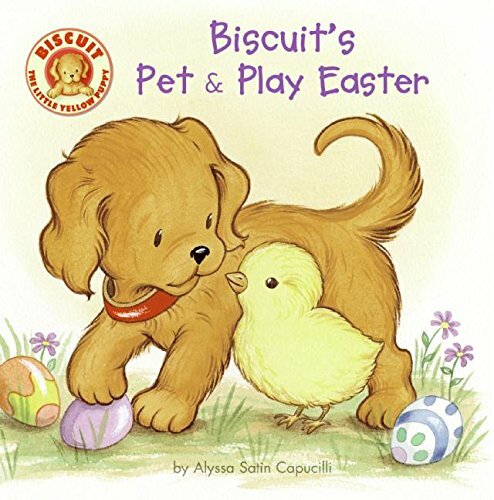 Biscuit’s Pet & Play Easter: Pet the fuzzy yellow chick and hunt for shiny Easter eggs as you join Biscuit in this Easter touch-and-feel adventure! 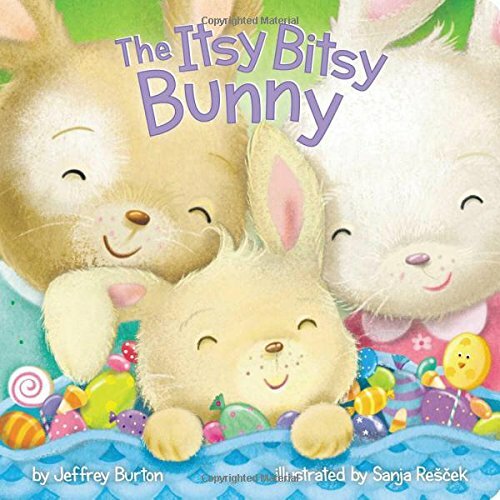 The Itsy Bitsy Bunny: A fun and playful holiday twist on “The Itsy Bitsy Spider” makes this favorite nursery rhyme perfect for Easter! This Itsy Bitsy Bunny must hop at top speed so he can get all of his eggs hidden in time for the big holiday! Little ones will love this fresh springtime spin on a classic nursery rhyme. 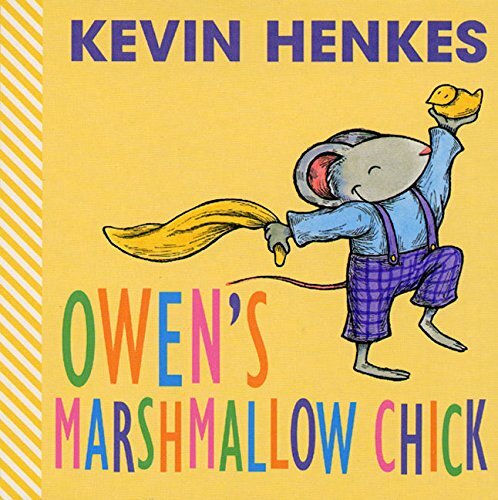 Owen’s Marshmallow Chick: “My favorite,” said Owen when he saw the marshmallow chick. “My favorite,” you will say when you read this book. Like these Easter board books? Find even more engaging book lists for kids with more than 100 book-themed reading lists! 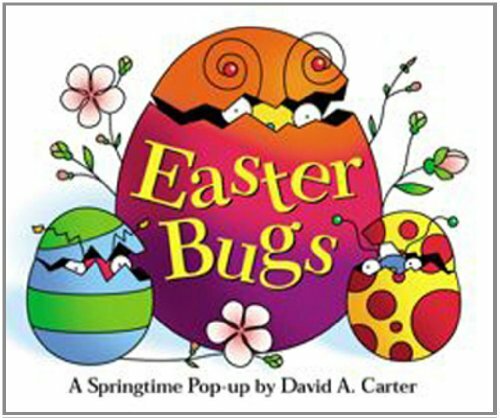 Here are a couple more: Easter Blessings features the Berenstain Bears and One Spring Lamb is also a counting book. Best of all, both books share the true message of Easter! Jesus is risen!